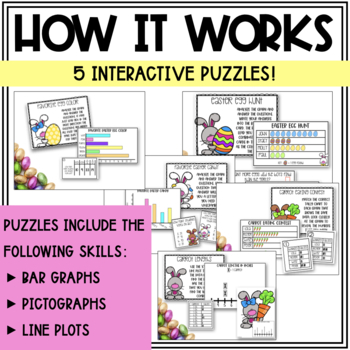 Are your students ready for something different to practice their math skills? 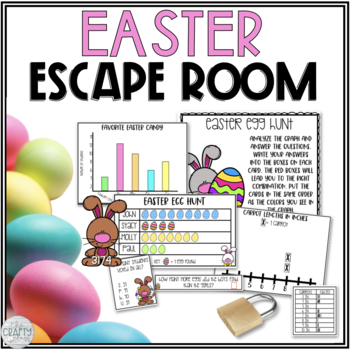 An escape room will have your students thinking critically and using teamwork while they work to solve challenging puzzles using their graphing skills. 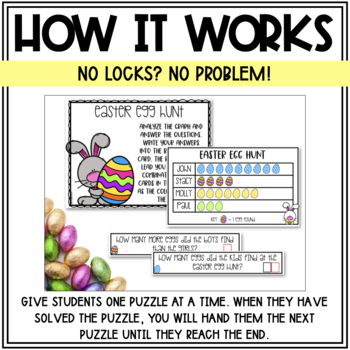 This game is perfect for Easter because your students will be trying to find the golden Easter egg before the time runs out! This game is designed to be played with 5 different kinds of locks, and you will find links for them when you purchase. Don't have the locks? No problem! I have included a set-up that doesn't require locks at all, and your students will have just as much fun! Make sure to go to the preview to see all pieces of the puzzles! Can your students escape in time? Buy this resource and find out! Can't get enough of the Escape Room? Check out my other products!